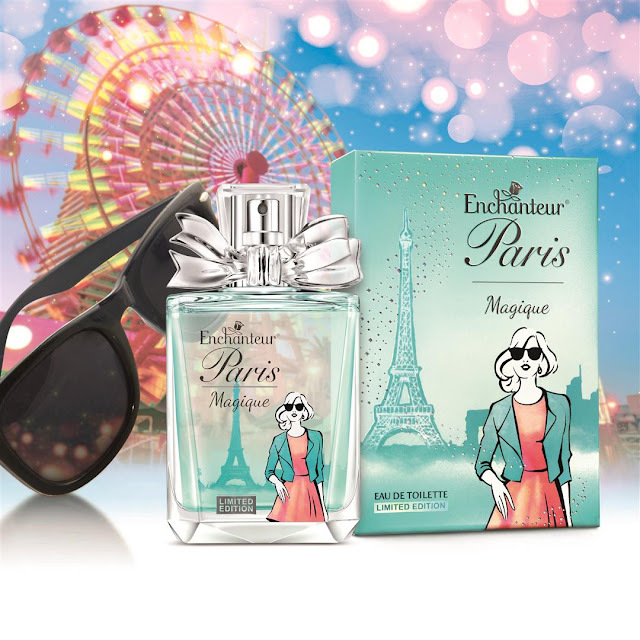 Inspired by the beauty of Paris, the city of love, ENCHANTEUR Paris fragrances are specially designed for the young, romantic and elegant female. 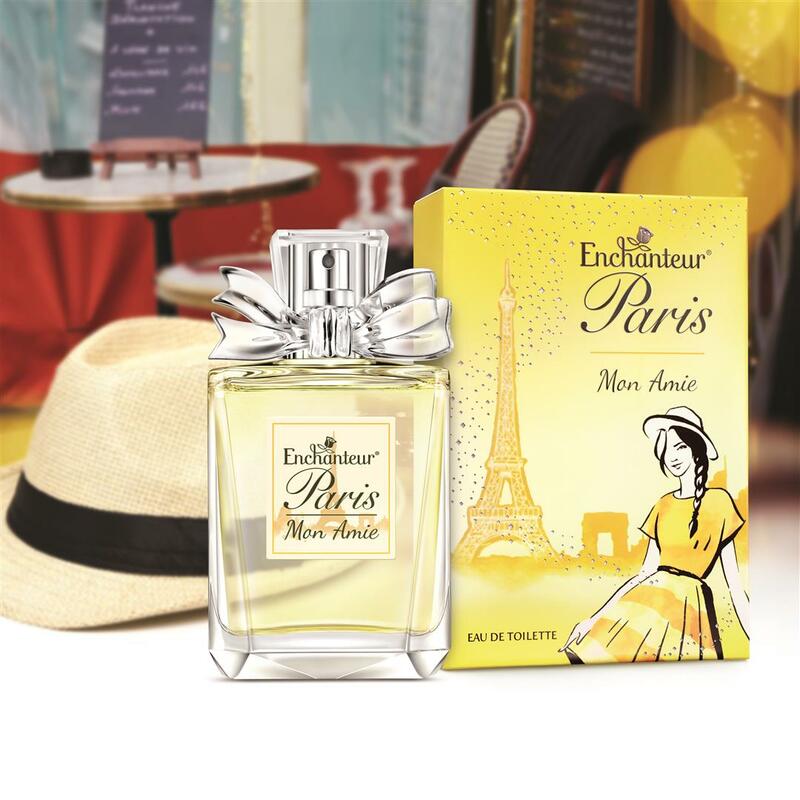 Created from the finest range of French-inspired fragrances ENCHANTEUR Paris will transform your ordinary days into days filled with endless magical moments. The fragrances are perfect blends of romantic floral charm and fruity sweetness which uplifts spirits, sparks confidence and conjures dreams into reality. Fragrances are an essential part of our daily grooming, not just used for special occasions. Fragrances not only complete our look or complement our makeup but more importantly it is like a signature, a scent that expresses the wearer. Fragrance adds the finishing touch of elegance, giving especially women the invisible extra that completes her personality. ENCHANTEUR Paris Eau De Toilette comes with an exciting new look complete with captivating nodes in the perfume to make it very desirable. The crystal clear glass bottle with a pretty signature ribbon cap comes in gorgeous boxes with distinctive girls hand drawn to depict the alluring scents of Mon Amie, Belle Amour, Adore and Magique. Against the background of the magnificent Parisian landscape with the iconic Eiffel Tower, the lifestyles and flair of young and stylish ladies come alive. ENCHANTEUR has worked closely with French perfumers in the past year to concoct the new ENCHANTEUR Paris Limited Edition fragrance; Magique which is created based on the latest world fragrance trends with the scent of Floral, Fruity, Gourmand in order to excite the senses of the modern young women and their men. Live the romantic fairy tale with ENCHANTEUR Paris Magique. This scent is created for the outgoing girl who is always ready for new adventures, challenges and romance. The enchanting potion of delightful apples carefully blended with the romantic blossoming magnolias and enticing praline to excite and keep him spellbound. A mystical scent befitting a young lady in a blooming romance. 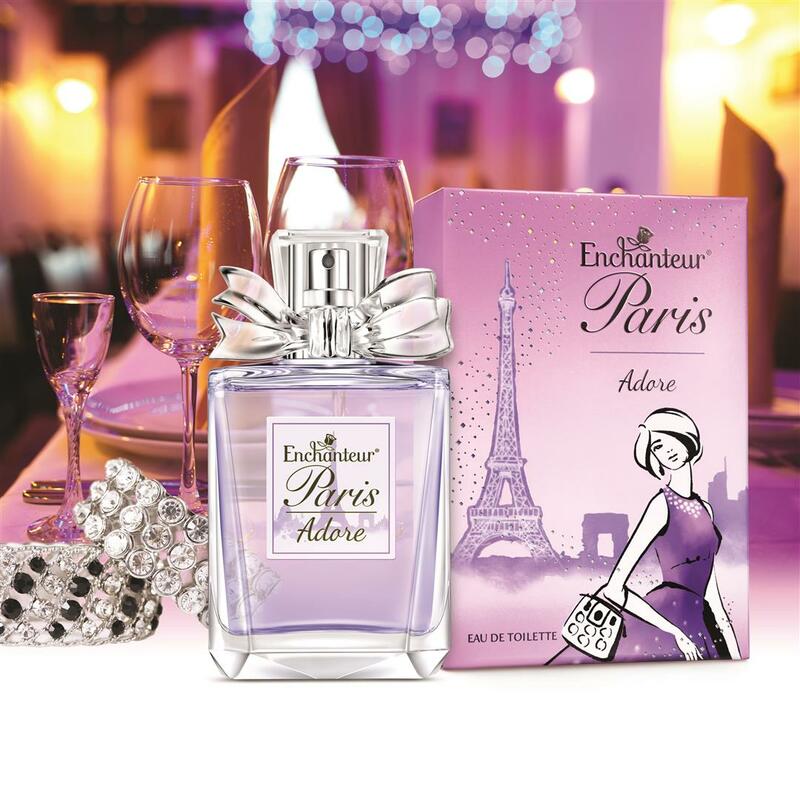 ENCHANTEUR PARIS Eau De Toilette will definitely personify the wearer’s beauty, grace and charm. Now you can captivate the man of your dreams with mesmerizing scents of ENCHANTEUR Paris and create magical moments! Best of all, ENCHANTEUR PARIS does not cost an arm and a leg and it is very affordable..... at just RM28.20 (including 6% GST) per bottle of 50ml and is available at all major supermarkets, hypermarkets and pharmacies. 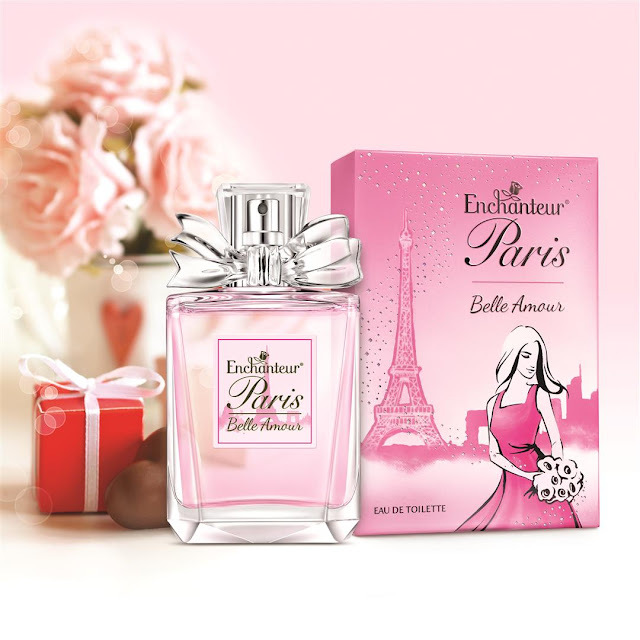 ENCHANTEUR PARIS Eau De Toilette fragrance retails at RM28. Love the scent. Beautiful packaging too. Wow the price is very affordable. You must have had a fun time smelling all the different scents! The scent is not sweet scent right? This can be something good to fit into a perfect gift box. agreed with you smell is important - i wish my housemate knows that as well. lol. it is important as it is part of first impression. This is great to be bought as a gift to a girlfriend. Thanks for giving me an idea! New packaging and I like it . Enchanteur Paris perfume smell nice.